Right now there's a severe overreaction to the FCC chairman's comments about Stephen Colbert. Despite all of Friday's social media chatter and conflicting news headlines, the FCC is doing exactly what it always does. 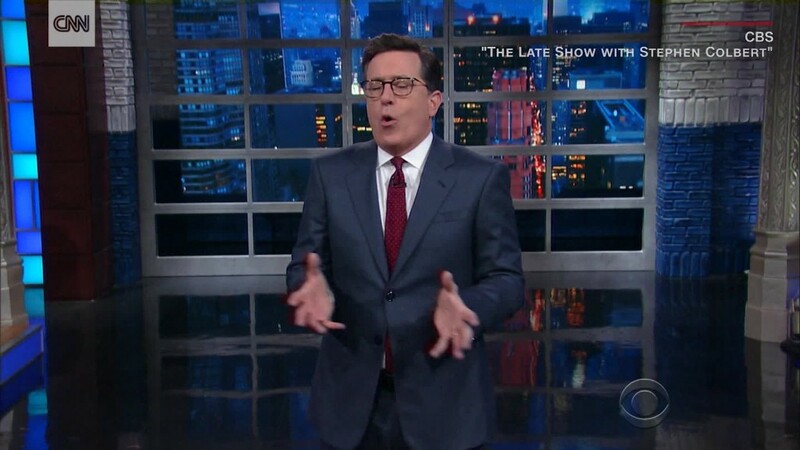 Following Monday's barrage of jokes, including one that implied Trump was taking part in a sexual act with Russian President Vladimir Putin, Colbert and "The Late Show" found itself in the middle of a backlash. Trump supporters felt he had crossed the line, and others said the joke was homophobic. On Thursday, FCC Chairman Ajit Pai was asked on Talk Radio 1210 WPHT if Colbert's comments violated FCC decency rules. "I have had a chance to see the clip now and so, as we get complaints, and we've gotten a number of them, we are going to take the facts that we find and we are going to apply the law as it's been set out by the Supreme Court and other courts and we'll take the appropriate action," Pai said. An FCC spokesman further conveyed this point to CNNMoney: "We review all consumer complaints as a matter of standard practice and rely on the law to determine whether action is warranted. The fact that a complaint is reviewed doesn't speak one way or another as to whether it has any merit." Word that the FCC is looking into Colbert's comments may seem to some like blow back against the host for going after the president. But the FCC is just doing its job to review public complaints. The FCC's "safe harbor" provision, designed to protect children, seeks to prevent stations from airing indecent material before 10 p.m. From 10 p.m. until 6 a.m., a broadcaster can only be penalized for offering material that is deemed "obscene" -- a significantly higher standard. Once a viewer complaint is filed, it's forwarded to FCC staff for review and, according to the FCC's website, "If the FCC determines the material is indecent or profane, we will take further action, including possibly imposing monetary penalties." But Colbert's joke about Trump and Putin was bleeped out and broadcast late at night. On Wednesday night's show, Colbert responded to the controversy by saying he didn't regret the jokes. "He, I believe, can take care of himself. I have jokes; he has the launch codes. So, it's a fair fight," the host said of the President. However, Colbert did add that, if he had to do it over, he would "change a few words that were cruder than they needed to be." "I'm not going to repeat the phrase, but I just want to say for the record, life is short, and anyone who expresses their love for another person, in their own way, is to me, an American hero," Colbert said.